So. I finally decided to go for the AMX 50b since every single person on the face of the friggin' planet has decided that I'm some kind of idiot for liking the T69 pre-buff (it's since been sold because I wanted a tier 10 on sale). I'll still swear up and down that the T54E1 is an enjoyable tank, which apparently some people have issues with me enjoying things because the gun stats aren't all that great. I digress. Beautiful tank, I've gotta say. The French really took the fixed-gun oscillating turret to heart, I guess. Tier 9 AMX time. I've got just about nothing researched on it. Of course, I have the 100mm gun because I'm not a madman. I've got the free XP available to drop for either the engine or the tracks, or if I wait and do the second x5 day I'd have enough for the top 120mm (and possibly either the engine or tracks, depends on how much drool soaks into my shoes from the greens). Those engineers on the hull really didn't want to pull a German and overdo it, I suppose. I like the simplicity and focus on the purpose. 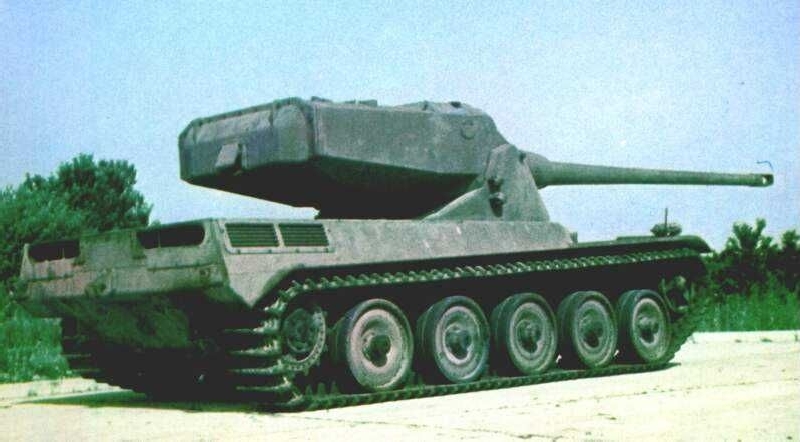 Is the tank comfortably grindable with the 100mm gun and top engine/tracks? I'm honestly the kind of guy who would rather drop two bucks on free XP before I'd bash my head off a tank for two months doing nothing but daily doubles, but at the same time if I can do it for free I'd be just as happy. The way I figure tracks/engine first is that the mobility is the autoloader's bread and butter, rather than having to rely on raw DPM or just burst damage. The clip damage is lower but the overall damage output is nearly the same, and the dispersion is a tad bit better with the 100mm. On top of that, the penetration on the 100mm is on par with the T54E1's top gun, so I'm hoping that it should play similarly. Am I wrong, and is the 100mm just bad at tier 9? Any AMX 50 120 experts or baguetteophiles out there who care to weigh in? I free xp'd the modules on it - and only played 50 games in mine so take my comments for what it is worth (Ace came and interest dropped). IMHO it DOES NOT play like the T54E1, as while the E1 isn't exactly a mobile machine, the AMX 50 120 feels like a boat, so you need those shots to hit and pen. I would do the gun first -- simply as you not going to break any land speed records in the 120 anyway -- and even with top engine and suspension, it still is an AirCraft Carrier turn radius and lateral movement . That said I would be interested in Positives thoughts way more than mine. Hopefully he'll drop a line in here, I enjoy his analyses. Thanks for that, seems like I've grossly overestimated the thing's mobility. It definitely kicks the sh!t out of the other french autoloader at the tier. The AMX is odd for me. It’s honestly my “luckiest” tank. I don’t do particularly great in it, but I manage to win 60% of the time. It’s as if MM decided to cut me some slack with this (and only this) tank. I free XP’d the gun, went through the grind for the rest. I recommend the same. Good luck to yours as well. It’s tier IX. If ever there was a reason for free XP it’s tier IX right? Yeah, because I'm not a kid whole took daddy's iPad. I would get 120 mm. T54E1 can live with bad pen and 310 alpha, because it has a medium tank camo. Both 50/120 & 50B get spotted left and right, but unlike 50B, 50/120 lacks the gun depression to use ridge lines effectively. Unless you plan on sitting back and snipe, you most likely have to take a hit when you pull out of a cover to shoot a target. Doing 400 alpha and 1200 per clip make the damage trade off much better than doing 310/930. Don't forget that with Calibrated shells, DPM with 100 mm goes down to 1744 with prammo - which you need against [edited] tier 10 heavies. Edited by NaDa_22, 12 July 2018 - 01:40 AM. Question, were any tanks of this type, by whatever country, actually used in a conflict? Is there any video, of these tanks, in use? Were American examples of this type of tank actually built? Let me get my learn on! Edited by MarBearCat, 12 July 2018 - 01:42 AM. DMG meet the forums newest and most unoriginal troll. Don’t feed it or it might stay.